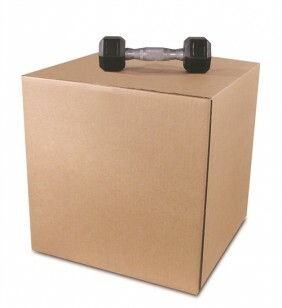 Corrugated Cartons made with heavy duty double wall construction. These Regular slotted containers offer a variety of extra benefits over single wall cartons. Provide extra strength for stacking cartons. Can safely hold 25% more weight that single wall cartons. Provide extra protection for items with sharp, irregular edges. Extra piece of mind for expensive, irreplaceable, or breakable items. Price listed is per box.